Under-floor radiant heating is a unique solution that has widespread usage internationally. It is also growing as an option in the United States. The heat energy is emitted from a warm element, such as a floor, wall or overhead panel, and warms people and other objects in rooms rather than directly heating the air. Radiant heat is the most even, comfortable heat you can have. However, it is critical that it must be installed correctly. 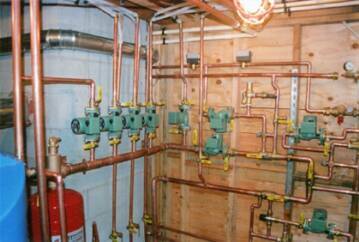 It works best when the house is designed from the start to have radiant heat. 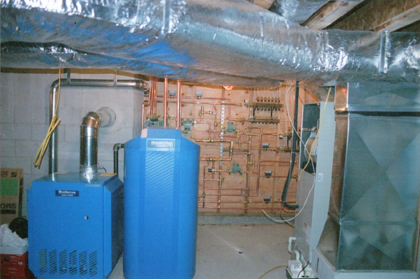 It operates with low temperatures which cut down on your monthly heating bill. 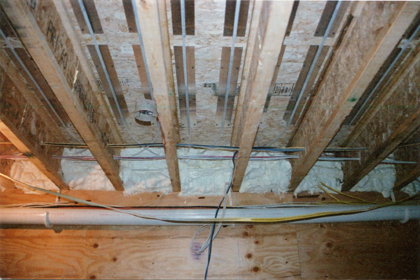 Radiant heat should be installed in the concrete floors so from the ground up to the attic your whole house will be one temperature. With radiant heat, regardless of what you set your thermostat at, everything in your house will be the same temperature. Most heating systems heat the air first which then heats your furniture, Radiant does the opposite. It heats up the floors, then the furniture, then the air, so by the time your thermostat gets satisfied everything in your house will be that temperature. At Chiarillo's we use Uponor (wirsbo) Pex tubing, the best pex you can get. No other pex tubing can compare. It is the only pex with a memory which means it always goes back to its original shape. 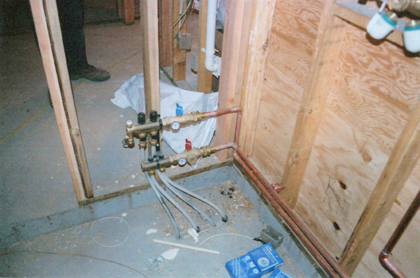 When it freezes other pex tubing will split; however, this brand will expand then shrink back to its original shape when it thaws.